Hello Friends, We sharing some beautiful pics, images and wallpapers of Kaabil movie and also sharing looks of Yami Gautam and Hrithik Roshan. 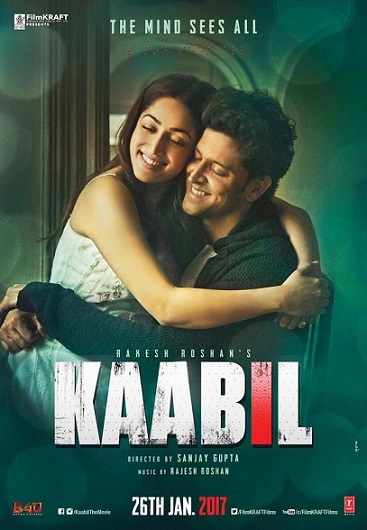 This is an upcoming Bollywood romantic action thriller film of Hrithik Roshan. The film is directed by Sanjay Gupta, and written by Vijay Kumar Mishra. produced by Rakesh Roshan. Yami Gautam is playing main lead female role. In Movie Both. The movie official trailer has already released. The trailer of movie is getting excellent response on You Tube. Millions of views are done in some hours. So all fans are very excited for this film. Hrithik and Yami are looking stunning. Here I have collected some images and HD wallpapers of this film Kaabil. Kaabil is scheduled for a worldwide release on 26 January 2017.